h the help of some good old fashioned elbow grease. If you don’t have a degreaser, a laundry detergent can work as a perfect substitute. It is recommended that you use hot water since it is more efficient in removing grease stains. The hot water is mixed with a detergent and then poured on the floor. After pouring your hot water, use your deck brush to scrub off the stains. 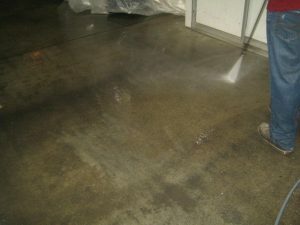 The floor is then left soaked for about 5 to 10 minutes and afterwards rinsed with clean water under a high-pressure nozzle. After washing and scrubbing, you should sprinkle some few drops of water to make sure that you were successful in removing the oil stains from the floor. 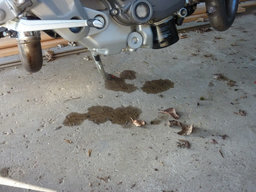 If the drops of water do not soak, this gives an indication that the stains were not completely removed. One of the methods you can use is a floor grinder which scraps off all the layers of paint on the floor. A chemical stripper can also be used e.g Bean-e-doo and soy gel. The two are very effective in removing old paints and mastic. The simplest method to use is the use of either white vinegar or lemon. White vinegar, in this case, applies mostly if the stains are large. White vinegar or lemon is poured on the stains and left for 5 or more minutes. You should then use a stiff brush to scrub off the paint and finally rinse the floor. Oxalic acid can also be used to remove rust stains. This product is tougher on rust stains and can be purchased at local hardware stores. It is mostly found in powder form which is mixed with water. When oxalic acid is applied, it is left to rest for about 5 minutes and scrubbing followed by rinsing is done. TPS of high concentration can also be used. It is highly effective when mixed with hot water and let to sit for about 15-20 minutes after which you can scrub and rinse the floor. You can repeat the process if necessary. 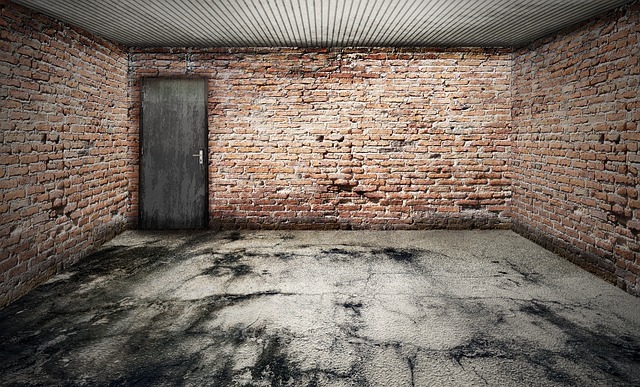 Submit your own tips for cleaning garage floors or Contact US with any questions you may have.